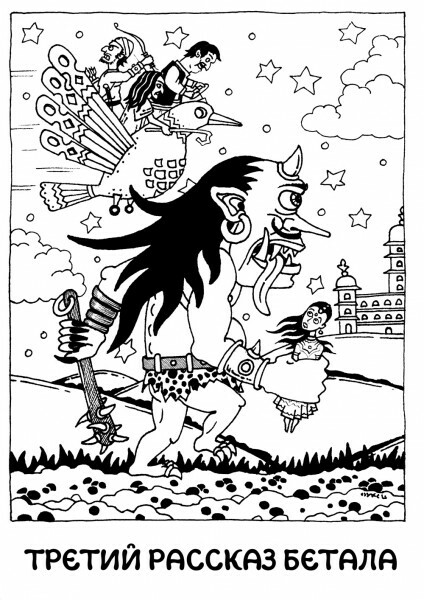 Источник: Vikram Betaal Stories (Bangalore, Vasan Book Depot, 1995). Музыка: Prem Joshua "Daia", Навь "Hymn to The Cold Silence", Parov Stellar "Tango Muerte", Dub Syndicate "Green Stick", Thievery Corporation "The Hong Kong Triad", Felix da Housecat неизв., Cristopher Gose "Turning Inside", Jah Division "Чёрт (dub)", Urubamba неизв., International Observer "London Dub". Читает Дмитрий Гайдук.